How to tweak my version of browser and avoid this message? It's a strange issue, which no one has been able to get to the bottom of. Since it only seems to affect a very limited number of users, it might be caused by an unfortunate combination of settings and/or extensions. For me, PayPal still works just fine with Pale Moon v28.1.0, like it always has. FWIW, my wife has a PayPal account since she makes quite a few purchases on eBay. She made a purchase on eBay yesterday, Thursday and she used her PayPal account to complete the transaction. To access her PayPal account, she uses the address below. She can access the PayPal website using 64 bit linux Pale Moon 28.1.0 running in 64 bit linux Mint 19 (Tara) Xfce or 32 bit windows Pale Moon 28.1.0 running in 64 bit Windows 7 (Home Premium SP1 or Ultimate SP1). So it's a regional thing?? If so, which region is causing the problem for you? Tomaso wrote: So it's a regional thing?? Update: when I switch "User Agent Mode from Native to Firefox Compatibility paypal works. Last edited by ijurisic on 2018-10-12, 09:42, edited 1 time in total. Firefox Compatibility mode is the default mode with regards to Advanced under the General tab in Pale Moon Preferences. Many people makes changes to their Pale Moon Preferences such as Firefox Compatibility mode to Native mode for various reasons and sometimes these changes have unexpected results which effects some sites and PayPal is one of them. This is why I don't make lots of changes to my linux and windows Pale Moon in Pale Moon Preferences. For me, it seems to work no matter which UA mode I choose. That being said, there's a reason why 'Firefox Compatibility' is the default mode in Pale Moon. Although all modes works rather well, announcing FF compatibility will still give you the least trouble. I have the same problem here in the UK. Worked okay this morning and now I cannot get PM to get into Paypal no matter what I do. DrTeeth wrote: I have the same problem here in the UK. Worked okay this morning and now I cannot get PM to get into Paypal no matter what I do. 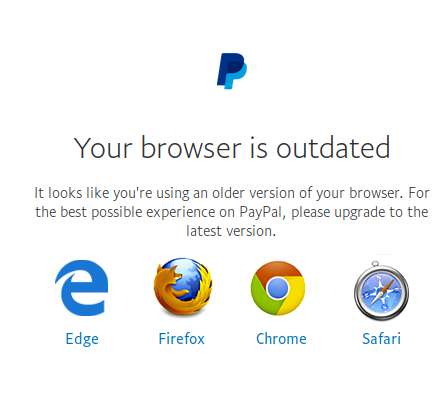 Have you tried a different user agent for PayPal when using Pale Moon (28.1.0)? I now on widows can't to open page paypal.com. Very strange, I have that problem this morning on my linux. ijurisic wrote: I now on widows can't to open page paypal.com. Very strange, I have that problem this morning on my linux. What happens if you clear cache and paypal cookies? About 50 mintues ago, using her laptop computer with it's linux hard drive, my wife made a purchase on eBay and she completed the transaction using her PayPal account. She was using 64 bit linux Pale Moon 28.1.0 running in 64 bit linux Mint 19 (Tara) Xfce. After reading your comment about how you can't access PayPal, I asked my wife to come into our computer room, (my man cave) where I have three other computers and I asked her to access her PayPal account using my desktop tower computer using the windows hard drive which is one of two hard drives I have installed in this desktop tower computer. Using 32 bit windows Pale Moon 28.1.0 running in 64 bit Windows 7 Home Premium, again she had no problems accessing her PayPal account on this desktop tower computer. When using 64 bit Windows 7, the only antivirus I use is free Avast. When using 64 bit linux Mint 19 (Tara) Xfce, I do not use any antivirus. Maybe it is a regional thing. Since you are in the UK, what address/link are you using to access PayPal? No problem to sign in from Germany. I can now log into PayPal without changing a thing. Damn computers! Never had things like this with CompuServe . 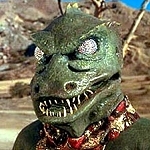 DrTeeth wrote: I can now log into PayPal without changing a thing. Last edited by ijurisic on 2018-10-13, 19:28, edited 1 time in total. coffeebreak wrote: What happens if you clear cache and paypal cookies? Which country are you connecting from?